Rosy Senanayake boasts, beating her own tom-tom, that she never can say can’t”. That word is never in her vocabulary, she says. Any woman who can’t says can’t” is bound to end up in all sorts of trouble. Obviously, she must be like the proverbial hitha-honda ghani” who is always pregnant. Most likely these poor things are bound to up in the maternity ward singing : I should have danced all night!” In fact, at one point she claims that she had delivered within 100 days more than any other competitor in the field. She displays her come-on-onah-ekek” attitude in her latest interview with the Daily Mirror. In it there is no end to her macho politics. That’s fair enough. This is election time and as there is no one else to talk for Rosy Senanayake she has a right to write some advertisements to give a glossy veneer to her heavily painted cosmetics. Constantly pulling her sari pota nervously to keep both shoulders covered, she announced that only born-again Ranil Wickremesinghe, her new found lord after ditching Sajith Premadasa, can perform the miracle of running an oligarchy disguised as a democracy. To sum up she says: Can you find anyone else like me – me – me — who can talk about me delivering all the great things that no one has delivered before me, eh?She has all the characteristics of a loud-mouthed evangelist from the pop Christian cults in the American Bible Belt but not the quiet depth that inheres in profound Christian theology. Her brand of Christianity was typified by Burt Lancaster in his role as Elmer Gantry, a tour de force, marketing pop Christianity in the film classic of that name. She brings that evangelical marketing techniques to her politics. She must be excused. As she says, after 28 years in the UNP, of which 21 has been in the Opposition with her failed guru, Ranil Wickremesinghe, the time has come to go forth and tell the world the great wonders she and the 100-day” oligarchy had achieved. So she declares : I think no government has delivered what we have delivered in 100 days”. Alleluia! Praise my lord Wickremesinghe, who art in the FCID (Fascist Centre for Indicting Dissidents), she says. Alleluia! Apart from praising her lord who is in the FCID, she told the Daily Mirror that one spoon of honey with breakfast is good for the day. Her boast of performing wonders within 100 days which no other government has done could be possibly due to the rush of blood caused by her taking more than one spoon of honey for breakfast on the day she gave her interview. No government in known history has caused the biggest banking scandal within 100 days. No government has imported a foreigner and handed over the Central Bank for him to gift a dowry of Rs. 420 million to his daughter, through his son-in-law who was a registered bond dealer with the Central Bank at the time. No Prime Minister has been a part of the bond scandal at the time the deal was pushed through. And when the scandal was exposed by a Parliamentary Committee no government rushed to censor the publication of its findings. No government promised to clean up the nation within 100 days and failed to do so even after six months. No sensible leader had promised to deliver the ideal society” (Ranil’s manifesto) within 100 days and failed, as promised, to stop corruption (new contracts for road construction on a corrupt deals exposed by Rajiva Wijesinha) cronyism (example: Wickremesinghe appoints his pet MP, Sagala Ratnayake’s brother as Chairman of Lake House) and nepotism (example : President Sirisena appointing his brother to head the Telecom). No government before has cut down plans of constructing three-lane highways to two and accused the previous regime of producing costly highways. 8.. No government has nominated corrupt and not-so-clean NGO wallahs to a Constitutional Council which is meant to keep the administration clean with the appointment of Mr and Ms, Cleans. No government has appointed a new Police wing, (a.k.a. 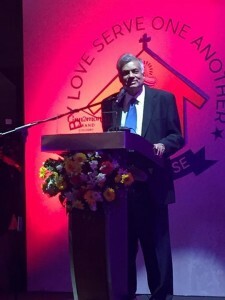 FCID ) without the approval of Parliament, to summon and persecute political opponents within the first weeks, with Rosy’s lord, Wickremesinghe, (Alleluia! ) presiding over it. 11, No head of government went to London to visit the Queen and shook her bare hands hand without gloves. Wow! What an achievement for Rosy within 100 days, eh? Alleluia! 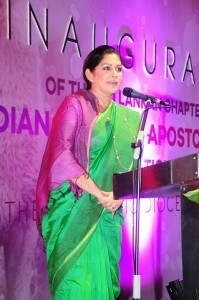 Not satisfied with singing the praises of her lord, Wickremesinghe, she has rushed to include the President. Maithripala Sirisena too in her amazing 100-day government”. She says that there has not been a better combination of leaders than in this Yahapalanaya. Obviously, she has not seen double bullock carts going up Haputale hill drawn by breathless twin bulls! No government ran an oligarchy with a nominated – not elected – prime minister for six months after promising to hold elections within 100 days. Praise, Rosy’s lord (Wickremesinghe) and her master (Sirisena) for running this unique oligarchy in the name of democracy! The twins have functioned so effectively that when one gives the order to clean up the administration the other ignores it. In the words of Sirisena, when he asked Wickremesinghe to get rid of the Governor of the Central Bank he virtually asked Sirisena to fly a kite. Aren’t the double bullock carts going up Haputale hill better managed than the twins running Yahapalanaya, with one sacking the governor and the other keeping him, eh? Both of them jointly steered the Titanic”, in the words of Sirisena. Though Sirisena claims that he saved it from sinking there has been no record of any one of the Titanics being saved. Thais means Rosy too is going down in Wicky-Siri’s Titanic. Alleluia! She is now presiding over press conference and singing : Nawa gilunath band chune. in Sri Lanka on the orders of the church and the west. alugosu ponil by massacaring 60,000 Buddhist youth on the pretext of putting down an insurgency. When the real terrorists came, killed hundreds of thousands people, they just didn’t want to kill them because they were not Buddhists. This is in so called Buddhist Sri Lanka. Mahinda you know everything, why didn’t Ranil appoint former Banking Don of Monash as Central Bank boss? ROASY NEVER SAY CU’NT, AND ANY WO’MAN WHO CU’NT SAY CU’NT IS BOUND TO END UP IN ALL SORTS OF TROBOLE. SIRAA TOO AND RAN ILL IS ALSO FROM MARS, AND STILL THEY COULD NOT DELIVER EVEN IN 9 MONTHS. LOOKS LIKE THEIR BABY IS GOING TO BE STILL BORN ON ASTROLOGER ELECTION COMMISSIONERS PREDICTED DAY, AUGUST 17th. HALLELUJAH ! SIRAAS TITANIC IS A PARLIAMENTARY RAFT, FULL OF CRAFT, AND YES HE DID SAVE RAN ILL, THE ONLY NOTE-WORTHY PASSENGER, BY GROUNDING THE RAFT, HALLELUJAH ! RAN ILL NARROWLY ESCAPED SLEEPING ON CONCRETE IN A PESTILENTIAL PRISON, WITH A LIFE LONG LOCK. HALLELUJAH !!! LUCKILY, ROASTY ROSY, HAD NOT BOARDED THE ILL FATED RAFT AT THAT TIME. HALLELUJAH. Ancient Sinhalaya, how is paying kappan for your comments? Drag historical events to distract the reader from current election issues? At least use words that people understand! What is ALUGOSU? YOU JVP (OLD) RETIRED CLOWN. Come out without your disguise. PRAMADASE and the rest is over long time ago. Pramadase’s Gannni or son might paying you good money. Your little bit better than Lorenzo! on a different planet to not to know the meaning of alugosu. Those happened a long time ago. No justice for those who died for Jaathiya vinashakarana party (JVP) ridiculous cause. They suffered under those pol pots and died terrible deaths. People like you can ridicule those deaths because no one close to you died or you don’t care! I keep reminding these people because these UNPatritoic party rogues say white van, white van while they killed 60,000 Sinhalese Buddhist youth and gain political mileage. No one cares because they were Buddhists. Those massacres are relavant to the election as the Unpatriotic party murders blame MR when their hands are soaked with blood. Blood from 60,000 Sinhalese Buddhist youth. A S !! This Lankahuthra always attacks commenters in this forum. very recently he attacked Charles. CLOWN. Thanks Susantha. I think lankahutra is a henchman from those alugosu party. “Post-Election BRIBES” to Party Jumpers are ALREADY being offered by the UNPatriotic Party DESPERATE gain POWER somehow, WELL AWARE that it will not be able to win the required number of seats on its own! The CROSSING OVER of MPs from the Party that Nominated them to Another Party should be PROHIBITED by a Constitutional Amendment! Such CROSSOVERS, usually for PERSONAL GAIN, BETRAYS the TRUST placed in them as Members of a certain Party by the voting Public, and leads to the creation of TOTALLY UNTRUSTWORTHY Political Leaders! BAN IT COMPLETELY and BAN IT SOON! Wickramasinghe also noted that they are forming a government based on conventionalism even if they are confident of getting the majority. According to Mahaparinibbana Sutta of Lord Buddha, Lichchavis followed seven guidelines known as Sapta Aparihaniya Dharma to rule their kingdom about 2,700 years ago. The main feature of this was the regular meeting of the rulers for consultation and arriving at a consensus. “We hope to start the committee system in the next Parliament. The whole Parliament will turn into a government to make collective decisions as per Lichchavis,” Wickramasinghe said. Well spotted SW! He did once to me too.However ignore those idiots. Indian Imperialists managed to divide us from the time the British brought this parasite in 1792 to administer the Dutch possessions the British took from the Dutch. The fists lot of Indian parasites came were the Vellars from the Malabar Coast of the Indian Sub Continent. They were kicked out by the Sinhalese and lot of these parasites settled in Jaffna under the protection of the British. British then replaced the Dutch Administration. Please study the recent History of Ceylon and you will see all Indians are British Colonial Parasites from India. Always the non-Buddhists of SL flock together. Tamils vote for their own, Muslims for their own, Christians for their own. We fools get divided and don’t give enough strength to our Buddhist leaders. Christians, Tamils and Muslims know these and make fictional stories against our leaders and our fools wait to bite the bate. It is high time for us to open our eyes. We are loosing our country not day by day but by the hour. This ADDLE-PATED SERVILE FOOL Ruinous Ranil went to the US where he was COACHED in the Committee System used in the US House of Representatives and the US Senate as if it is something BRAND NEW! He has suddenly discovered the “Committee System” forgetting that MR/UPFA GoSL, and indeed Sri Lanka’s Parliament, has employed a similar system ever since INDEPENDENCE! The British Parliament on which Sri Lanka’s first Parliwas modelled has used a “Committee System” for centuries! To HIDE the FACT that he trying to REMAKE Sri Lanka’s Govt in his American Master’s Image, he INVOKES the “Sapta Aparihaniya Dharma” of the Licchavis of Buddhist India, simultaneously TRYING TO SHED HIS IMAGE as a Christian Acolyte seeking CONTROL of the Buddhist Majority Sri Lanka against his Buddhist Opponent President Mahinda Rajapaksa! This DIABOLICAL MACHIAVELLI’s SCAMS are UNBOUNDED and SHAMELESS! He is now DESPERATELY ATTEMPTING to PASS OFF as the Champion of the Buddhist FAITH in Sri Lanka! But, it will FAIL DISASTROUSLY, because this man Ruinous Ranil, of NOT ALIMANKADA but PAMANKADA INFAMY, will be recognized for what he REALLY IS by the Voter: A SHAMELESS ravenous Christian WOLF hiding under an ill-fitting Buddhist SHEEPSKIN!